Doha Qatar novembre 2010. Operaio in pausa durante la costruzione dello sviluppo immobiliare The Pearl. Una parte è liberamente ispirata all'architettura di Venezia. 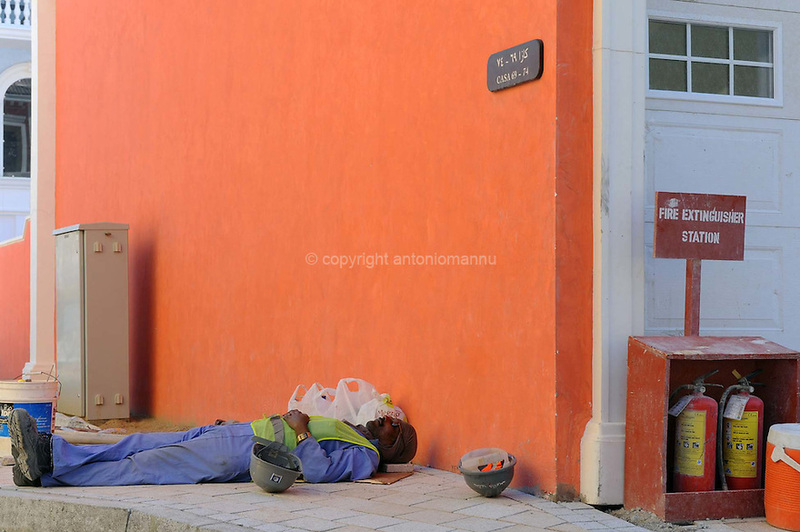 A worker at rest during the construction works of the new real estate development The Pearl a part of which is freely inspired by Venezia's architecture..